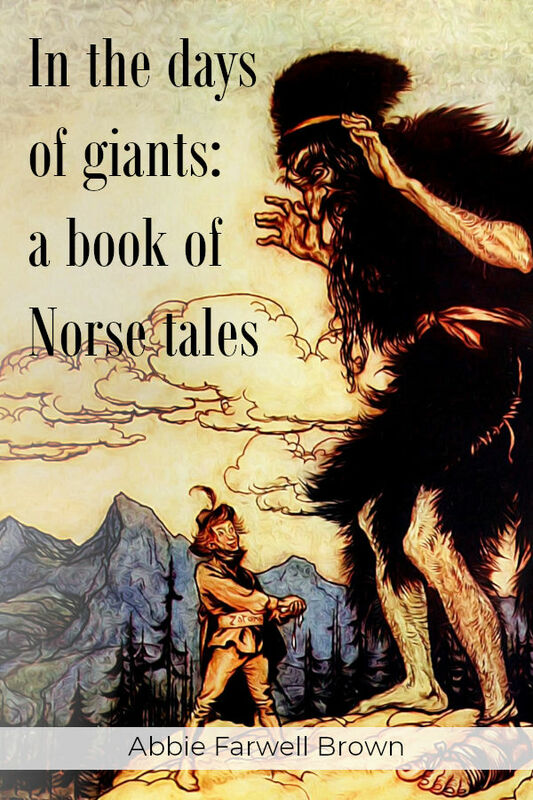 In the days of giants: a book of Norse tales. A children’s book full of exciting tales. Strength and joy of life ever marked the doings of the old Norse gods and heroes. These qualities abound in these stories of Norse mythology retold in a simple direct fashion appealing to younger children. Tells among other things how Father Odin lost his eye, how Thor went fishing, of the death of Baldur, and of the other doings of the gods and goddesses of Asgard. Suitable for ages 9 and up.